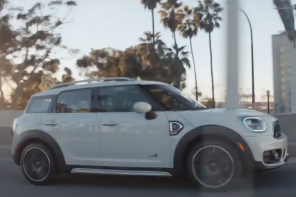 With a healthy dose of creativity and a sprinkling of convergence, MINI USA has launched its latest advertising campaign aimed at MINI owners. 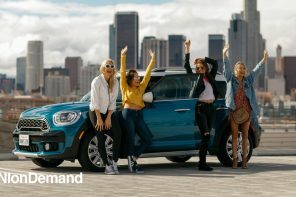 Earlier today MINI USA sent emails to select owners asking them to join the “pilot” version of a new program called Motorby. The program features the same interactive digital billboards we pointed out a few weeks back and are currently located around Chicago, New York, Miami and San Francisco. Unfortunately at that time we couldn’t go into details as to why they were going to be cool. Now we can. The idea is simple, first give MINI USA some irreverent information about yourself (nothing too personal). MINI USA then sends out a special keyfob (4-6 weeks after sign-up) that identifies you to each of the Motorboards you pass. When the boards detect that you are about the drive by, they deliver a personal message based on the information you originally gave. 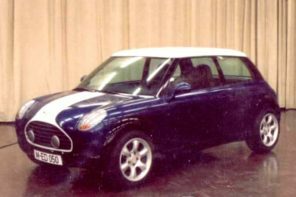 Look for MINI USA to roll-out the Motorboard program to a wider MINI-owning audience later in 2007. You can take a tour of the sign-up the process below. Click on the top left image and then simply follow the process by clicking on the “next button” or hitting “N” on your keyboard. 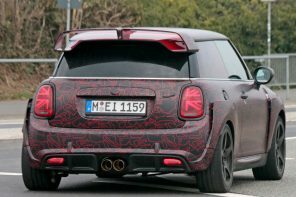 Opinion: It’s Not Called MINI Cooper – It’s Called MINI! I dunno. Big Brother is watching. Do you want to willingly carry around a tracking device? Who knows where detectors may be besides the billboards, and who can have access to their database? reminds me of the security efforts being installed in airports, retinal scanning. Tracks you entering an aircraft more or less, data is gathered and known about you, where you are, where you’re going and where you’ve been. Not good. RFID’s are nearly the same when examined closely. Tracking what someone buys, when and how often. It’s part of a conspiracy theory…I just KNOW IT! I’d be more worried about the DMV determining my speed between toll points with my toll transponder. Where do we go to get eh fob? The owners lounge? I would feel important if my key fob started talking. I guess. I mean, why not ? I think I’m going to change my Cooper’s name to B. OTCH…..So it can read “Lookin’ Good B. OTCH! !”- as I’m roling by!!!! LOL. I think it’s very cool. I wish they’d put one in my area. Interesting to pick San Francisco over Los Angeles? or Is Los Angeles an initial location and I missed something? I’d love to be in on this. Let’s hope the “pilot” program goes well enough that they expand it. Are you carrying around a cell phone? Guess what, that’s a gps equipped tracking device. I have a friend who works for an un-named branch of the gov. Give him any cell # and he can pinpoint the location of that phone within a few meters, and follow it around all day on his lap-top. We already do carry tracking devices: Cell phones, and toll booth speed passes! 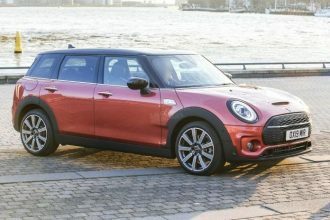 Could somebody from BSSP or anyone in the know explain to me why most of the marketing efforts from MINI of late have been directed pretty exclusively toward current MINI owners? I’m not critical of that approach, just curious as to its reasoning. I have an idea, but I want to hear it from them. I seen so far one of those billboards here in Miami (826 Palmetto Expressway, Southbound). Yes, I am signing up. 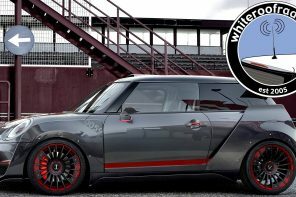 Yes, it makes no sense to me to advertise to current MINI owners. Why not focus on expanding the brand? Probably laziness on BSSP’s part. Easier to sell new product to people who already know and like the product than to sell to new customers. Apple Inc has been pushing their products outside their existing base and look at how well they have been doing! Almost all their computer ads have been about switching. Nice idea, but one more distraction isn’t a great addition to the driving experience. 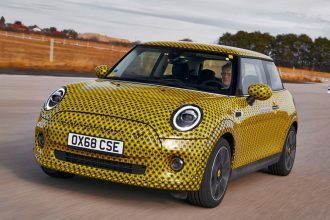 I have mixed feelings about this – hopefully we won’t read about gawking rear-enders in MINIs, or worse yet, some mouth-breather in an SUV is trying to read the message that has just changed as you motored past, and whacks you. Probably laziness on BSSPÃƒÂ¢Ã¢â€šÂ¬Ã¢â€žÂ¢s part. Easier to sell new product to people who already know and like the product than to sell to new customers. Thanks for the laugh, Craig. That’s the funniest thing I’ve read today! 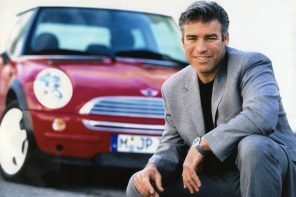 Maybe BSSP and MINI are spending a portion of the budget talking to owners because they know how much owners can do to evangelize the car. I get people coming up to me all the time in parking lots, asking questions – and happy owners are better than angry owners. No worries in SF, mate. The billboard is at the eastern entrance to the Bay Bridge. Average time needed to pass the billboard, 10 minutes. Had a good time in ‘Dago last week. Sorry I missed you. Sure. and this was my suspicion, but marketing isn’t what makes me evangelize MINI as an owner. My Dark Silver Cooper S is what makes me evangelize MINI. When I get talked to at the gas pump, people are usually asking me “Do you love your MINI?” Of course I do! 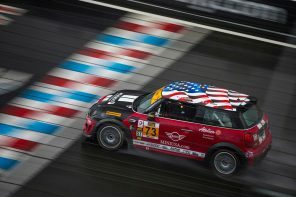 But I love the car on its own merits, not because MINI USA put my name on a billboard. I love it for the way it drives and looks and the community it lives in. That’s why I love the car now. Before I owned the car, I fell in love with it from the marketing. But that was before. Now I love the car for the car. My evangelizing the car would be increased from great experiences at the dealer, and great events like MTTS. happy owners are better than angry owners. Sure, but the grin on my driving face isn’t from the marketing. And personally, I feel a lot more “go team” sort of community pride when great advertising is aimed at people who don’t know the car like we do. We know the secret to the joy of driving, and when others learn that, it gives me a kick. The whole point of evangelism should be bringing other people into the fold, not preaching to the choir. And to me, focusing too much on the owners makes the MINI feel much more exclusive than inclusive. I don’t think they’re that far, but it could get that way. 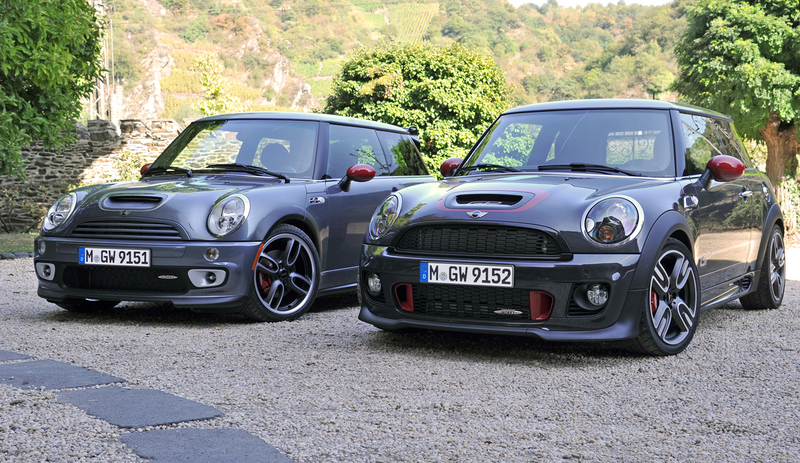 “Elite” should be saved for BMW – let MINI be motoring for the masses. People do wonder about the MINI and the loyalty of its owners. Curiosity can sell cars. 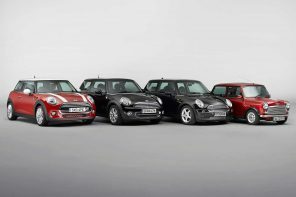 It is almost impossible to separate the MINI’s inherent qualities from the marketing that envelopes MINI. This feel good marketing that spurs powerful word-of-mouth advertising is brilliant. I only wish I lived in one of these cites – very cool! The scion is for the masses, the MINI as they (BMW/MINIUSA) have said is a “premium” small car. I have no doubt that the advertising is an effort to cultivate the cult status. Exclucivity is the #1 seller of products in the US right now. The advertising not only serves the purpose of name recognotion but creating a special “club” in the process. 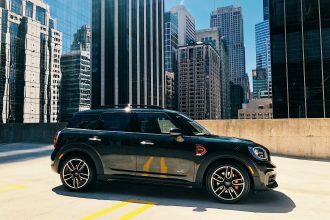 They say money can’t by you friends but my MINI sure has! 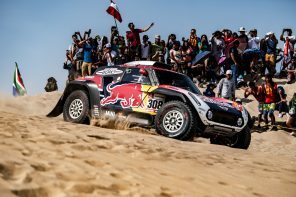 Nathaniel – you and I are both enthusiast owners and therefore look at the product differently than the majority of owners in the US. Because of that we’re not really the true target audience for this kind of ad. Secondly something like this is a fairly inexpensive way to create national interest in the brand at several levels. 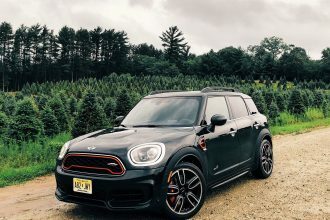 MINI is going after owners, but what they are really doing is crafting a ownership experience that includes whimsical experiences like Motorby. They are building up the MINI Fraternity (if you will) to a level that makes it easier for owners to evangelize the product. 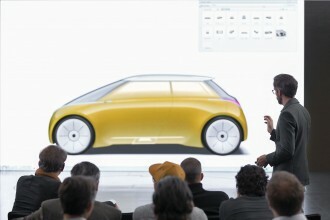 Sure you and I can talk to people all day long about the performance and design of the car to each other all day long. 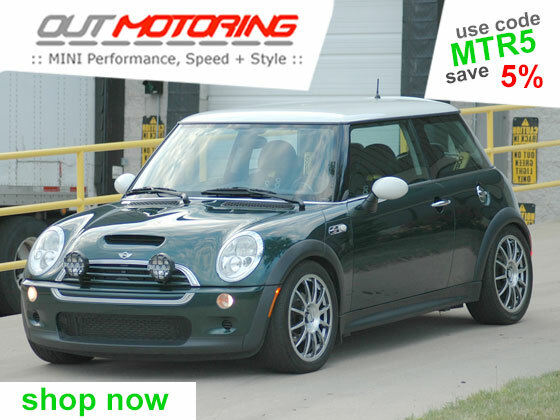 But for the other 90% of the MINI owning public, something like Motorby is easier to articulate to the non-MINI owner. As a non-owner looking to join “the fold,” I can understand the advertising focus on current drivers. 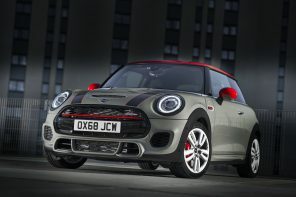 By letting people know of the things MINI offers to current owners, MINI accomplishes 2 things: 1) makes non-owners who think the offerings are ‘cool’ want to become owners, and 2) sends the message to non-owners that, even after you’ve bought the car and MINI doesn’t have to market to you, MINI is still going to provide services and ‘cool’ insider stuff — they’re don’t forget about customers after they’ve sold you the car. 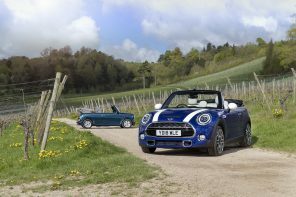 No, I’m not interested in MINIs ’cause of this latest campaign — I like the car, and I’ve enjoyed every test drive. But if the purpose of ad dollars is to increase brand awareness and make non-owners become owners, then every dollar spent on promotions for owners is a good investment towards non-owners — especially ’cause I don’t know of any other brand that does it to the same extent. 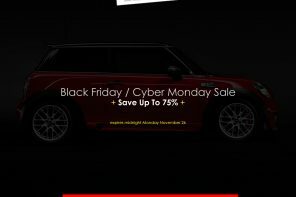 Pingback: Automotive Articles Magazine » Just another WordPress weblog » Blog Archive » Motorboards: Craziest MINI promotion yet. Yup. 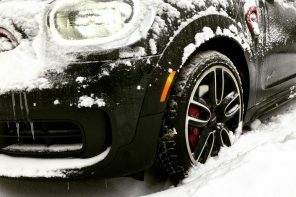 I don’t work for Mini, but I think the fact that people who were curious but didn’t take the step of going to the dealer yet asked me about my car might have yeilded some sales. Pretty smart. Besides, its nice to know you don’t just buy a car, but enter into a small and cool community when doing so. Nathaniel – you and I are both enthusiast owners and therefore look at the product differently than the majority of owners in the US. Because of that weÃƒÂ¢Ã¢â€šÂ¬Ã¢â€žÂ¢re not really the true target audience for this kind of ad. That’s true Gabe.I think this whole Motorby thing is actually really cool and will get all sorts of good buzz going for MINI. I was asking more at the macro strategy level how aiming so much of your advertising at current owners was going to sell cars this quarter or next. How does marketing to owners inspire evangelism beyond simply owning and loving the car? Motorby will get all sorts of great attention from owners and non-owners alike. But I just can’t imagine something like Motorby being what comes to mind when someone asks me about my car. But like you say, that’s me and folks like us. Motorby is actually really cool, don’t get me wrong, and a great way to talk to its intended audiences. I was more talking about the disconnect between marketing to owners and that somehow inspiring evangelism in some way the car doesn’t do already on its own. If I talk to somebody about my iPod, I don’t lead with how cool the commercials are. I am just curious about the thinking that goes into choosing owners as the audience so intentionally rather than talking to people who are looking for a car in the near future. This particular thing is more owner-involved really than it is owner-aimed, so it picks up lots of non-owner people. Maybe what I’m talking about is perhaps a bit tangential to this actual post. Sorry to go off topic folks! This kind of advertising always strikes me as showing a fundamental lack of confidence in the merits of the product itself. 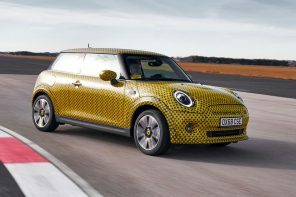 However MINI certainly is not lacking in merit as a product! This kind of advertising tells me that the company can’t find any positive aspects of the product itself to sell it. So they feel the need to sell with whiz-bangery and emotion. Emotion can drive sales but it is ultimately the product itself that allows continuous growth. 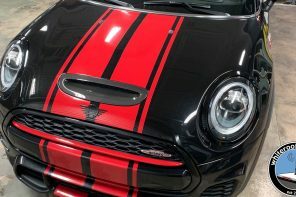 Talk to any MINI dealer and they will tell you that as soon as a potential customer sees and drives the MINI they see and feel all the positive qualities of the vehicle they are 90% sold. 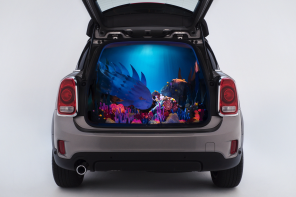 That being said this is a very cool campaign for the MINI owners. 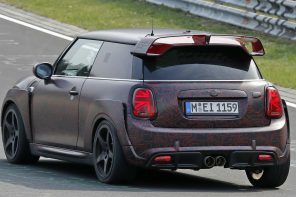 I’m sure it will be effective at increasing the enthusiasm of current MINI owners. However they should also advertise the product itself to the general public. But how much of this ‘owner focused advertising’ was done ONLY to owners? It seems to always have a public face that everyone sees. They see it, they wonder “What is this MINI thing all about? Wow there is another MINI thing. And another. These ads seem different than for other cars. Those MINIs look like fun. There is a MINI dealer. Let me pull in and check them out.” The MINI is different. You sell it different. I think it’s more about the buzz than inspiring evangelism. Have y’all ever seen Minority Report (with the personalized ads that flash on the billboards as you walk by)? 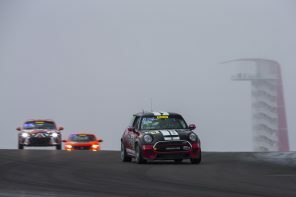 I want absolutely nothing at all to do with this advertising campaign, think it’s quite lame, and as others have expressed, believe that it will be yet another distraction (and yes it will cause an accident or three) from the task at hand, driving our damn MINIs! I can see this becoming a MINI motoring destination sort of thing. An organised drive past on of these billboards. Just have to get the spacing right so that we do not ripe a hole in the space time continum(as previously noted). 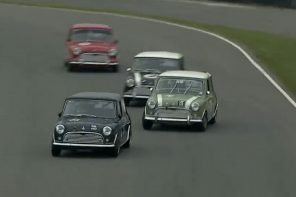 If possible, stationing someone with a video recorder to record all of the different messages as the various MINIs went by. How cool would that be? Now, where did you say those boards were? And I was just in SF, but didn’t have my MCS. Went over that bridge about 10 times while I was there. Darn! More of a distraction than a Victoria’s Secret outdoor board stretching for 40 feet across the road? So how many of you in the “test” cities are goin to drive out of your way to see one of these billboards? For me, the chosen billboard location here in Miami is out of the way on my daily commute (Fortunately) and it was placed along a very congested and not very pleasant expressway to be driving at all. More of a distraction than a VictoriaÃƒÂ¢Ã¢â€šÂ¬Ã¢â€žÂ¢s Secret outdoor board stretching for 40 feet across the road? See ya at AMVIV, Sid. “This kind of advertising always strikes me as showing a fundamental lack of confidence in the merits of the product itself. 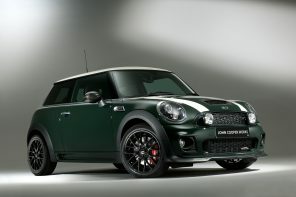 However MINI certainly is not lacking in merit as a product! This kind of advertising tells me that the company canÃƒÂ¢Ã¢â€šÂ¬Ã¢â€žÂ¢t find any positive aspects of the product itself to sell it. So they feel the need to sell with whiz-bangery and emotion. Emotion can drive sales but it is ultimately the product itself that allows continuous growth. 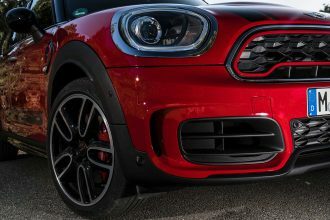 Talk to any MINI dealer and they will tell you that as soon as a potential customer sees and drives the MINI they see and feel all the positive qualities of the vehicle they are 90% sold. But these ads aren’t about the product, they are about the BRAND that is MINI. People need to be aware of the brand because as you said the car sells itself. But how much of this ÃƒÂ¢Ã¢â€šÂ¬Ã‹Å“owner focused advertisingÃƒÂ¢Ã¢â€šÂ¬Ã¢â€žÂ¢ was done ONLY to owners? It seems to always have a public face that everyone sees. They see it, they wonder ÃƒÂ¢Ã¢â€šÂ¬Ã…â€œWhat is this MINI thing all about? Wow there is another MINI thing. And another. These ads seem different than for other cars. Those MINIs look like fun. There is a MINI dealer. Let me pull in and check them out.ÃƒÂ¢Ã¢â€šÂ¬Ã‚Â The MINI is different. You sell it different. I think itÃƒÂ¢Ã¢â€šÂ¬Ã¢â€žÂ¢s more about the buzz than inspiring evangelism. Yes and no. It’s about targeting your audience. Think of it as a conversation that everyone can overhear. Sure, the non-owners can hear what’s being said to the owners – and there’s value in that – but the message is more effective when the listener is being spoken to directly. IF you talk to me specifically, I’m more likely to listen. So if we’re spending a bunch of time and energy talking to owners, they’re going to be listening sure, but the non-owners may tune out a little bit because they’re not really part of the conversation. But I don’t think that applies to these electronic billboards. But these ads arenÃƒÂ¢Ã¢â€šÂ¬Ã¢â€žÂ¢t about the product, they are about the BRAND that is MINI. 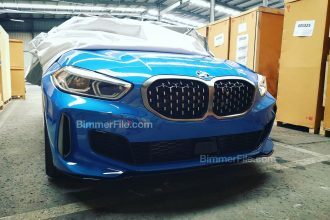 People need to be aware of the brand because as you said the car sells itself. Indeed. 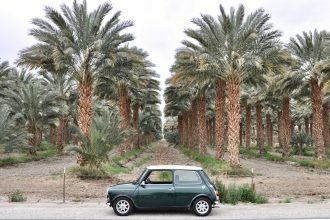 The brand is about the relationship between MINI and its customers. But that’s both current and future customers. This Motorby gig is actually, in my opinion, a pretty cool brand move. I just hate to see the other half of the audience equation get so little attention in the grand scheme of things. But that said, I haven’t exactly seen a chart of their overall marketing mix. 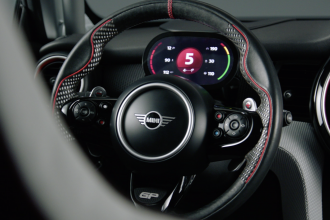 MINI may be talking to prospective customers in a way that’s off my radar right this moment. looks like you’ve made it on slashdot.org! Congratulations, Gabe! This article’s on slashdot! While I don’t see this as something I would use long term – It’s perfect for those ‘one-time’ messages, like taking your girlfriend for a ride and suddenly a marriage proposal pops up on the billboard as you drive by. Pingback: Medisozluk.Com » Blog Archive » Motorboards: Craziest MINI promotion yet. So as a person not in the certain key areas, I will not get a invite but yet i will be in at least 3 of these cities (in the MTTS MINI) for Vacation. Do they have a FOB that says SOL? in la they put strippers on the freeway overpasses and have them dance around. that is distracting. I saw the billboard a few weeks ago on 10th Ave in Manhattan and wondered what it does. Looked very “interactive” with the changing messages. If this is only for entertainment purposes, then great. What is bad is if they will use it for other purposes, aforementioned in this comment area. For me at least, this ad campaign does nothing to improve my brand loyalty — I will certainly not be more enthusiastic due to this ad strategy to respond to inquiries at the gas pump from potential MINI owners: “Yes, I love this car because it flashes a personalized message back to me on a billboard as I’m driving down the highway!”. IMO, as I stated before, this type of appeal is just straight up lame — it’s taking the “microbranding” strategy to the nth degree, and too far IMO. I just don’t get it fellas (and yes, it’s 99% men leaving comments here) — how is this really enhancing the motoring experience or increasing brand loyalty? I guess it might make the morning gridlock grind more “fun” once when you see “Nice ride, Larry! Much better than the gas guzzling, crappy handling SUV following you…” as you’re talking on your Blackberry, listening to your iPod, reading the WSJournal on the steering wheel, and drinking your muy grande Starbucks Cinnamon Dolce Latte…beyond that I don’t get it. Fair enough, Micah. I guess for me, I applaud MINI taking chances like this. 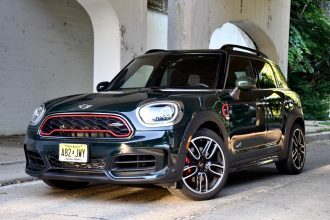 When I hear about the state of most of the other car companies, I dig the fact that MINI and BMW seem to be getting it right when no one else can figure out how. Which is largely because of the product, but maybe also cause they build strong brands. Because in the end, that means more money to develop more cool cars to drive. Yeah, Toyota is kicking financial ummm too, but I just dont feel like a Camry today. I think the possibilities for RFID are very interesting. 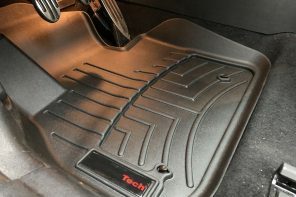 Just think memory seats in the car so it knows whether it’s you or the wife driving today – it could even tune the stereo into your preferred radio station. Great possibilities with home automisation systems too. I’m not so keen on targeted advertising though – as you drive, wear your RFID fitted nike (+iPod) shoes or if your in London, carrying your RFID Oyster card which is more or less forced on to you by the Mayor (double fares if you don’t use it). A great marketing campaign is not necessarily about spelling out all the attributes of your product to everyone, but rather catching the interest of your target market. 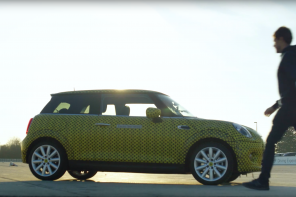 I believe that MINI’s target market is atypical in that it is more about personality (i.e. 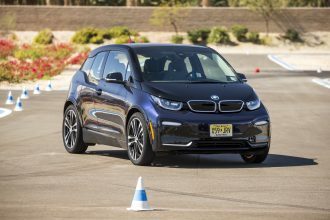 people looking for a fun, well-performing vehicle) than your typical demographic market, which relies on more quantitative characteristics, such as age, income, etc. Because of this, I think this campaign is right on. You aren’t going to capture a customer in a Camry who just wants something to get from A to B. 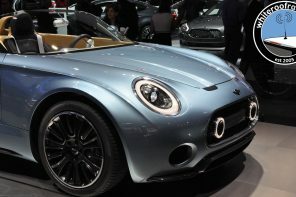 The target market is probably already aware of MINI’s, having seen them on the road, etc. and already have some level of interest. These ads are designed to grab attention and make people aware but not “in the know” ask, “Hm, what is this about? I’ve never seen a car ad like this before!” Those who have any level of interest are more likely to follow up by seeking more information. Someone who has absolutely no awareness of the brand to begin with wouldn’t even be swayed by an ad that focuses on all the attributes of the product and tries to sell it directly to them. 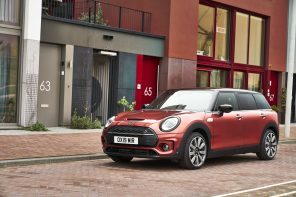 In addition to this, MINI is also keeping things interesting for existing owners – what other car company enganges their owners in a community? Happy, engaged owners create word of mouth – which is the most effective advertising tool of all. Of course, any marketing campaign is generalized to include the target market, and there will always be a few who make their decisions for other reasons. That is why the campaign doesn’t appeal to ALL owners and won’t appeal to ALL non-owners. Ads don’t sell products, they cultivate interest in potential buyers within the target market, not the general public. So, what are they paying fob carriers for targeted advertising? Is it more like grocery store club cards in which you get charged more if you DON’T participate? Well put Neil and dz. Clearly there are significant individual differences in the extent to which particular advertising strategies appeal to different folks (and thus the brilliance of Geico’s multi-tiered strategy, for example). CP+B’s strategy was much more appealing for me personally than BSSP’s, but as you indicated there certainly is merit in this RFID-based campaign for certain target audiences. Aren’t there some technology that picks up what radio stations most commuters have tuned to, that will change one of those all-display billboard to target ads? Also, what if you live in proximity to the Motorby billboards, will your message always be ‘on’? This is the first interesting campaign from BSSP I’ve seen. I’m not sure if non-MINI owners will get the concept in a freeway setting, but it has potential. I do think MINI USA needs to focus more attention on improving the dealer/service experience, than sending out silly packages to MINI owners. That would do much more to increase brand retention than having billboards talk to us. Cool. Perhaps governments will use this in future for signs outside their embassies. I wondered what all those RFID chips in passports were for. Original!, I like it :P. At least it is not the same thing. Got that right — even though current owners get to enjoy it, I imagine it’s really about making non-MINI-owners envious and wanting to get in on the fun — their 15-seconds of fame (unless you’re crossing the Bay Bridge, and then it’s the whole 15 minutes)…. Pingback: cilinc.net » Blog Archive » Who is driving this Mini? Really now… This is so harmless. I think it would be cool to see that. Are there any rules? Im from USA. and you? Pingback: The Great Digital Outdoors « Nothing to Hide?